Throughout my life many film directors and writers have attempted to scare me. Certain Horror films such as ‘The Ring’ and ‘The Grudge’ have been pretty close to triggering a genuine fear reaction from within. While other movies such as the Saw franchise and the Final destination movies were not even close to scaring me. I did think Saw was pretty sick, but not scary. For the real terrifying stuff you have to look to kids movies and television. No attempt by Wes Craven or Stephen King has even been close to some of the things I witnessed on CBBC, CITV,Cartoon Network, Nickelodeon, Channel 4 and BBC 2 as a child. Even worse, it was all before 9pm, it was all approved by the BBFC that kids could watch it. Here are some of the images that haunted my dreams as a child of the 90s and 00s. The Crystal Maze was a show which ran from 1990 to 1995 in its original format. Originally it was hosted by Richard O’Brien, a guy who shouldn’t be allowed on television before 9pm anyway. When he mischievously looked at the camera it was like he was looking through the television directly at you. He didn’t seem like a nice guy to a 5 year old. Worse still, he lived in a creepy island and was obsessed with crystals for some reason. He always seemed to revel with joy when one of the contestants failed the task. Then they were just left there. No explanation was given. I used to go to bed worried for Alan, the postman from Coventry, who failed the archery Task in the Aztec Zone and is now stuck there forever. It would have been a whole lot less traumatic for the kids watching at home if they had all the contestants waving to the camera at the end. I often wonder what was going through the heads of the executives at CITV when they signed off on Knightmare. This was a game show targeted at kids where Dungeon Master Treguard of Dunshelm challenged kids to walk through his Dungeon while being guided by one of their friends via microphone. They faced various tasks on their travels, typically fighting witches, collecting coins and stepping over giant rivers of Lava. This game was all done in virtual reality, but I didn’t know that when I was 5. I genuinely thought when the kid got eaten by a dragon or fell into the Lava that was it. They were dead. This wasn’t helped by Treguard, who always laughed vengefully when it happened. Just like the Crystal Maze, no explanation was given. As far as we were concerned at home, there were 2 ways out of Knightmare, the Dungeon exit door or a body bag. Looking back at this movie you probably think of Sebastian and Flounder singing ‘Under the Sea’ but this Disney classic introduced many concepts which no kids should have to process. To begin with Mermaids are scary enough. What are they? Where did they come from? How do they reproduce? While you are thinking about that you are then introduced to Ursula, a cross between Chyna from WWE and an Octopus! Ursula then goes on to sing ‘Song Poor Unfortunate Souls’ where she takes a teenage girl’s voice so that she can grow legs and chase after some guy twice her age on land. Ariel’s dad really should have paid more attention to his rebellious teenage daughter, killed Ursula, and the creepy old guy on land and demanded Ariel go back to Fish school and finish her studies. Problem solved. After being traumatised by Walt Disney multiple times I thought it would be better to avoid the Magic Kingdom as much as possible. Looking in the video store one Tuesday afternoon with my Granny we found ‘Willy Wonka and the Chocolate Factory’.What could go wrong there? It is a film all about chocolate. Except it isn’t. It’s a film all about greed and spoiled kids. 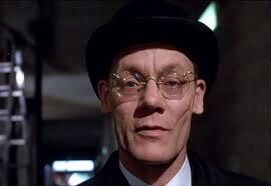 Even before Charlie gets to the Chocolate factory there is a creepy man walking about who wants his golden ticket. It doesn’t get any better once inside the Chocolate Factory. Any child who steps out of line is drowned, shrunk or turned into a blueberry. 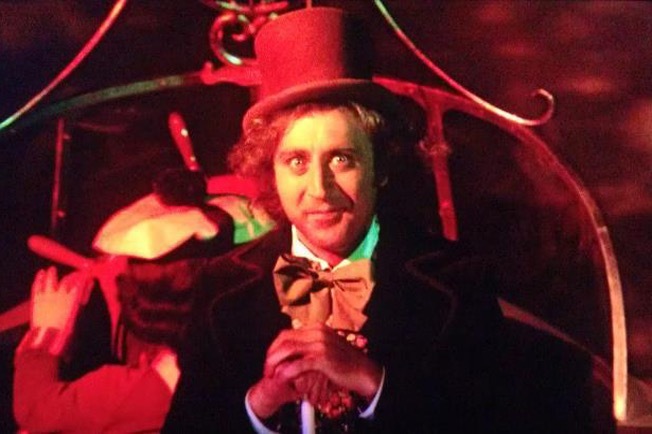 Despite all this you think the movie will have a good message because surely Willy Wonka is a nice guy. Then he takes you into a needlessly scary tunnel and his mood darkens. 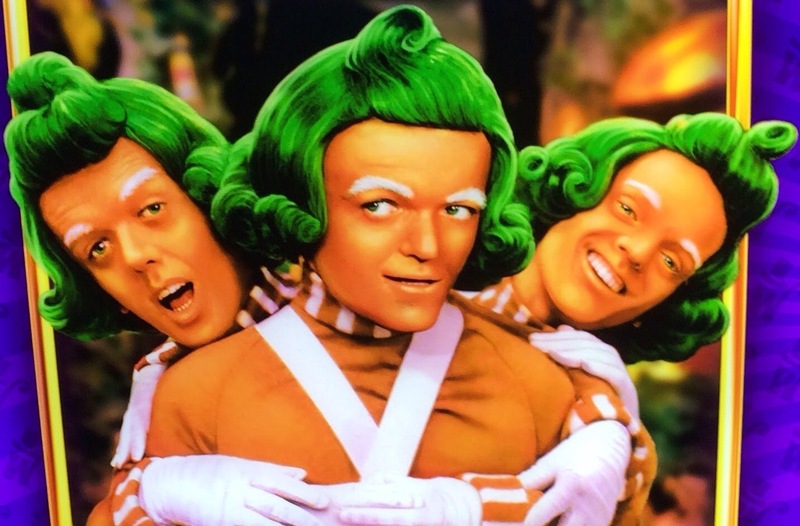 For no reason Willy Wonka starts screaming and we see flashing images of chicken’s heads getting cut off and bugs crawling over people’s faces. What is this doing in a kids movie? Were kids in the 70s used to all this chicken decapitation? 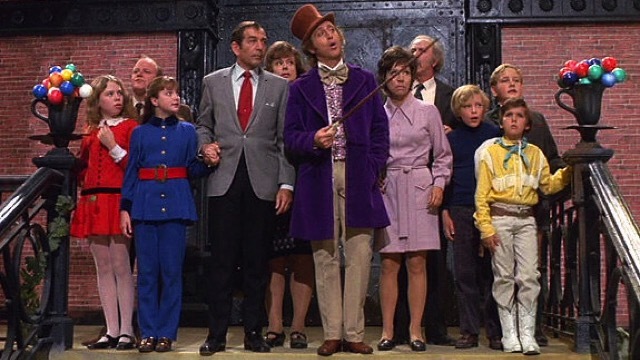 In reality, social workers would have arrested Willy Wonka for child cruelty and making the Oompa Loompas work without permits. You will probably lose what little bit of respect you have for me when I tell you I have never seen the Wizard of Oz. So far I have only seen the 1985 sequel which was bad enough. 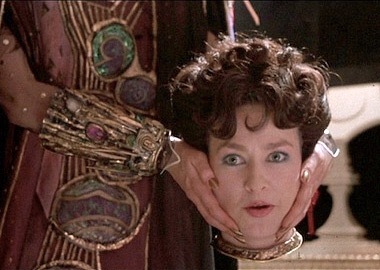 Here, I was introduced to Princess Mombi who changed her mood depending on what head she chose to wear that day. While subsequently I have acquired many ex-girlfriends who acted in a similar fashion to this, back then I was not prepared to meet such a character. As well as this there are also Wheelers. 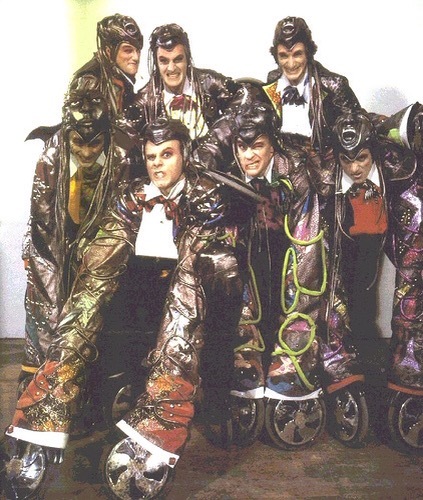 These were vampire like guys with Roller skates instead of arms. Now this seems stupid but to a child these things were the stuff of Nightmares. The Mid-80s must have been peak season for traumatising kids at the Movies because we were also introduced to David Bowie and Labyrinth. Here, David Bowie steals a toddler and takes him to his castle all so he can teach a young Jennifer Connelly a lesson. If I was babysitting and the kid went missing for 5 minutes, I would have learnt my lesson. I don’t need David Bowie to help me. As a child David Bowie was scary enough, even when he wasn’t in a castle. I genuinely remember not being able to sleep because I thought David Bowie was gonna get me. Of course now if David Bowie showed up at my house I wouldn’t let him leave until he at least sang ‘Star Man’, ‘Modern Love’ and ‘The Man Who Sold the World’. Back in the 90s there were only four channels and if you wanted to watch Sky you had to be friends with the weird kid with the Satellite dish. This was also the glory days for Saturday morning cartoons. I still remember seeing Bruce Banner getting angry and transforming into the Incredible Hulk and hiding behind the sofa. It was never clear to me if he was a good guy or a bad guy. My parents used my fear of the Incredible Hulk against me. ‘Eat your Broccoli son or I will get angry, You wouldn’t like me when I’m angry’ was a common phrase spoken around my house. I may have grown up traumatized but at least I didn’t have Vitamin E, Thiamine or Riboflavin deficiency! 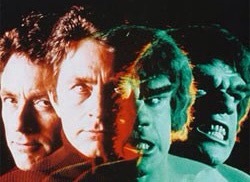 If you survived the first half of the Incredible Hulk you made it to the adverts, which usually weren’t any better. I still remember the advert for Sugar Puffs where a bunch of kids visited a factory and got transformed into Honey Monsters!! I hope they don’t make adverts like this any more. On saturday night in the 90s you could have watched Blind Date and Gladiators on ITV or Noel’s House Party followed by the National Lottery on BBC1. 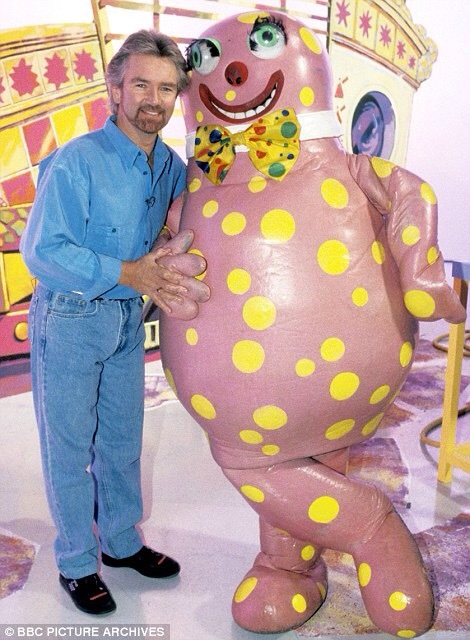 Overall, Noel’s House party wasn’t that scary apart from Mr Blobby and that Noel Edmonds looked like a rubbish Bond Villain. There was one time though where they had a competition for someone to search for prizes in the dark. This lady lost the task and she was made to stay in the basement for the remainder of the show, in the dark. I still remember seeing her crying live on (Night Vision)TV when they told her. Hopefully they got her out. Today the National Lottery is an afterthought on the saturday night TV schedule. However, in the 90s it was prime time. As well as the release of the big money balls they also had some band like 9-1-1 or Ringo Starr promoting their latest single. 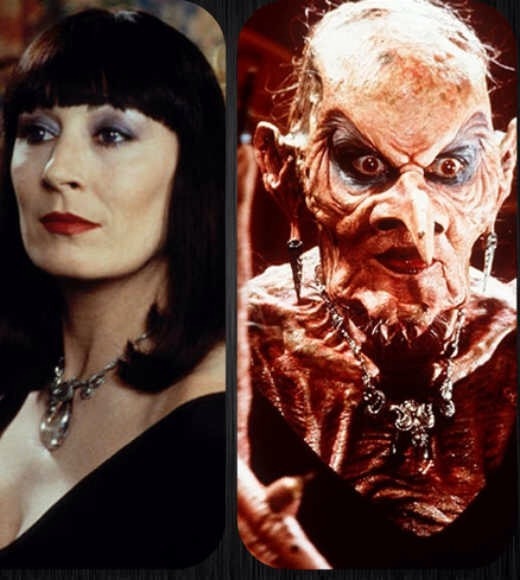 They also had Mystic Meg, the single most terrifying women to appear on TV before 9 O’Clock, and that’s including Anne Robinson. 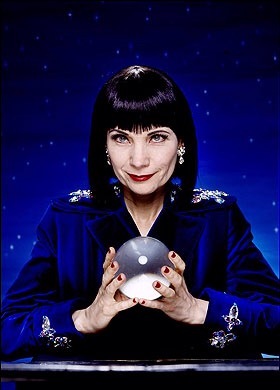 Every week she looked into her crystal ball and told you who was going to win the lottery this week. I always dreaded my mate’s family winning as they would have probably have moved house and taken their satellite dish with them. Back then my bedtime was around 9 O’Clock but with Mystic Meg and David Bowie flying around my head what hope did I have? Our generation have been desensitized to the current crop of horror movies. We have seen it all before. Thankfully most of us have survived intact. It does mean attempts to scare me as an adult through the Purge and the Hills have Eyes have a long way to go re-create the panic instilled in me by watching these programmes as a child. 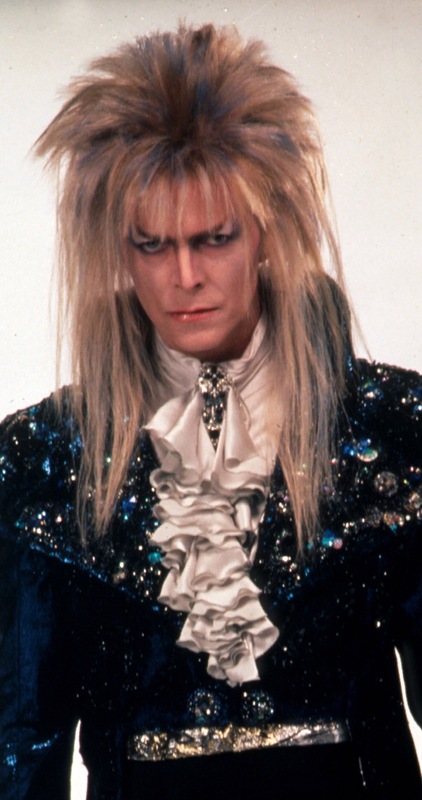 If there was a movie where David Bowie was a Dungeon Master who kidnapped you and took you down a scary tunnel that might work. Especially if he took his head off and replaced it with a Mystic Meg head and zapped you into a honey monster. Then to top things off tell you that you lost the contest and now you have to stay here forever, in the dark. 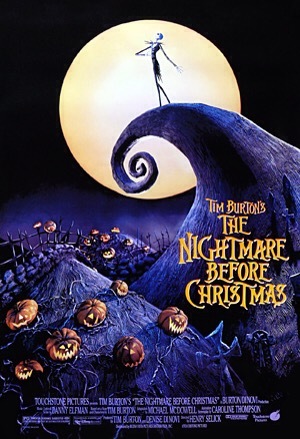 Tim Burton let’s us into his twisted head. I should of realised from the title this wasn’t about Santa, Reindeer and Snow. Face Peeling, Mouse transforming Trauma. Another ingredient in the cake of Nightmares keeping me up at night as a child. 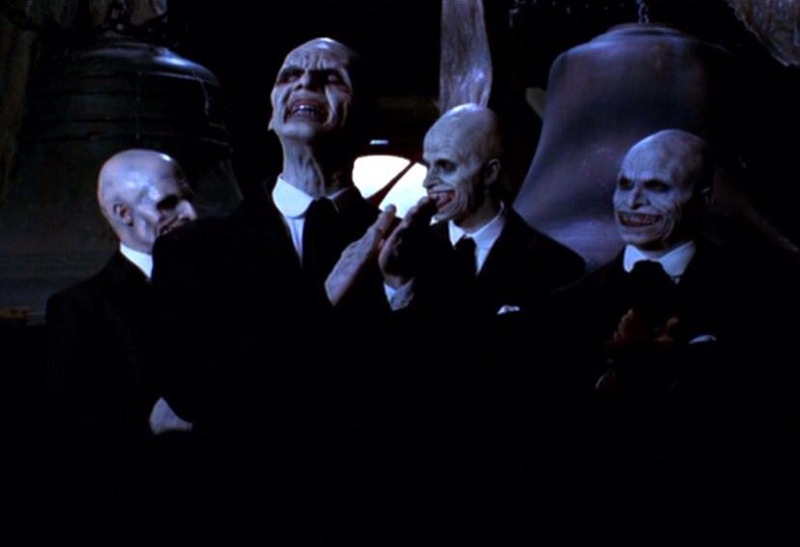 Genuinely scary stand alone episode of Buffy the Vampire Slayer. If you can, watch it. Joss Whedon at his best. 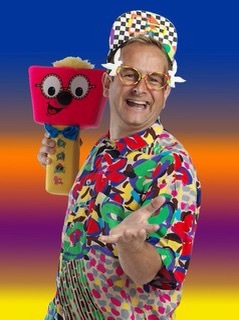 An all round scary guy with a hammer. Would Charlie Sheen have been as successful in Ireland?